The historically slow moving lighting industry is undergoing a radical change similar to what happened to digital cameras and online book retailing. How does an incumbent like Philips who has significant profit pools in traditional lamp manufacturing strategically deal with the fast-changing competitive landscape caused by the rise of LED technology and government legislation banning inefficient light bulbs? This presentation gives a glimpse on how Philips combines strategy, deep dive projects, and long-term scenario planning with key innovation experiments to shape the industry, such as Philips Hue, the world’s first smartphone-connected LED light bulb, and named product of the year 2012 by Forbes. Jeroen de Waal is Vice President, Head of Strategy for Philips Light Sources & Electronics. Prior to this he spent 10 years in marketing, including Head of Lamps Product Marketing worldwide and Marketing Manager of Philips Lighting in the UK. 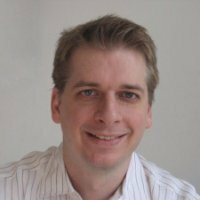 Jeroen joined in 2007 from American Express in London, where he was Director Marketing EMEA. He has a strong affinity with new media and held several related roles, including at an Internet start-up. Jeroen has an MBA from IESE Business School in Barcelona and a degree in Computer Science from the University of Twente in The Netherlands.